There’s a lot on the line this weekend, but nothing more important than pride. So far this year, the two East Coast powerhouses have only faced off one time, a mid-September match the ended in a (surprising at the time) 6-1 victory for Towson. It’s clear the Dukes will enter this doubleheader with revenge on their mind. These two teams share one of the best rivalries the NCDA has to offer, and winning this matchup has been the key to controlling the East Coast over the years. Both the Dukes and Tigers are loaded with talent this season, making this already heated rivalry even more highly anticipated. James Madison has top tier athletes including Evan Eschenburg, Tyler McDaniel, and Garrett McGurl, while Towson can match that athleticism with some fantastic players of their own including recent ‘Baller of the Month’ Jordan Watt, Tyler Schmitz, Colin Sporer, and David Guare. Towson comes into this game with a perfect 15-0 record, and currently sits at #2 in the Gonzalez Standings, behind only perennial power Grand Valley State. Towson has reached a program high in both standings and total points. Additionally, the Tigers have not lost a regular season game since playing JMU at BEAST VII in Harrisonburg back in February last season. For JMU, they are coming off one of their biggest tournaments in recent memory after defeating CMU, SVSU, and MSU in Michigan. JMU also ranks #3 in the nation, and are looking to improve that mark this weekend. As mentioned earlier, in the two teams’ only matchup so far this season, Towson was able to hand the Dukes a 6-1 defeat. Like Colin mentioned, Towson has faced very little pressure from any team so far this season. 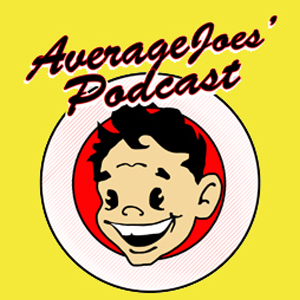 On average, Towson is scoring 4.53 points per game while only giving up 0.6 points per game. This is the widest margin of victory of any team nationally this season. That being said, their strength of schedule is less than ideal. 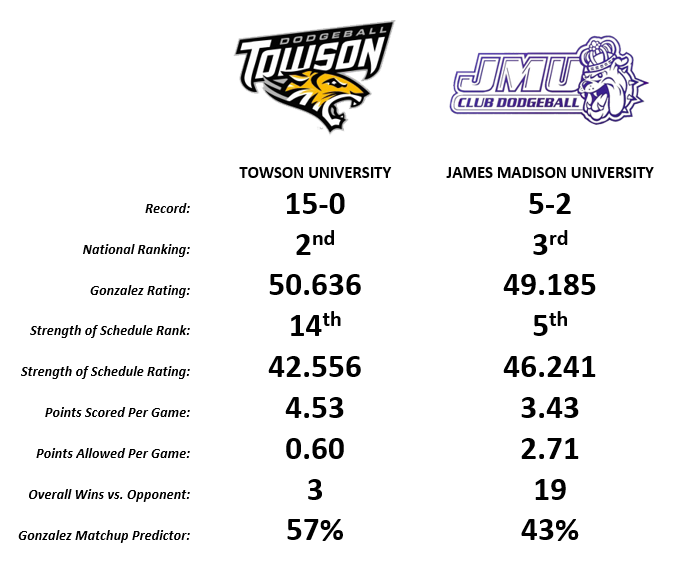 At the moment, Towson’s schedule ranks 14th overall out of the 28 teams that have played this season, while JMU ranks 5th in the same category thanks in part to the aforementioned tournament (based off average Gonzalez Rating of opponents). There is zero doubt that this doubleheader is the most important one of the first half of the season. Two wins can decide who holds the mantle representing the East Coast, two wins for either side guarantees the #2 overall spot in the country, and two wins may be all that’s needed to run the table for the rest of the season. 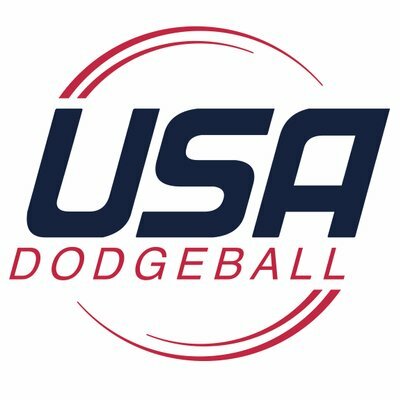 With that being said, let’s play dodgeball. First game in this Double Header is scheduled for at 12pm Eastern this Sunday! Check out the live stream on the NCDA Facebook.